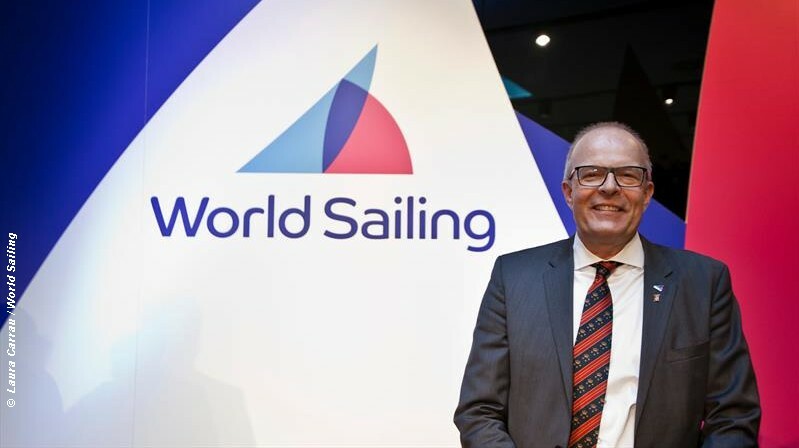 World Sailing has reviewed the comments by members who complained of inaccurate vote taking at the 2018 Annual Conference in Sarasota, Florida and found no reason to change the results. In a communication to World Council members (and seen by Sailweb) following a pre-scheduled conference call on 3 December 2018, the World Sailing Board view is that the minutes should remain as written and the votes as generated by the voting system. They further state that there is no conclusive evidence to show any failure of the voting system and the record of votes should remain as recorded. This decision follows a review of the voting procedures after three Council members formally notified the World Sailing Executive, that they believed that one or more of their votes were incorrectly recorded during the vote on Proposal 1 of Submission 037-18. Submission 037-18 was the “urgent submission” from the Board to substitute a Mixed Two Person Keelboat event for the Mixed One Person Dinghy event in the 2024 Olympics. The replacement of the Mixed One Person Dinghy event with the Mixed Two Person Keelboat event, effectively removed the Finn class dinghy from the 2024 Olympics. In order to be considered by the meeting the urgent submission required a 75% Yes vote. The Board states that all the voting units were individually tested within the meeting room on the previous evening and then retested for connectivity on the morning of the Council meeting and all units were operating correctly. The Board of Directors also reviewed the technical reports from the voting system (as provided by the voting company) and the results published in the minutes to check that there are no discrepancies. Having reviewed this information, it is likely that any claimed ‘errors’ in voting are due to either pressing the wrong button for yes, no or abstain (1,2,3) or pressing a button too early before the voting is open or too late after the vote was closed – or not at all during the period when the voting was open, to correctly record their vote. The voting units of the Council members who are suggesting that their votes were not recorded correctly, were used at the AGM and we have analysed whether there are any misreported votes from those MNA members or any pattern of votes not being recorded at all on these units and there are none. The Council stated that the same electronic voting procedure has been in use since at least 2009. Under the Regulations, the contents of the minutes are a matter for the chairman of the meeting having considered the comments raised by Council members. While this point is being confirmed by the Constitution Committee, however the Board’s view pending this confirmation is the minutes should remain as written and the votes recorded as generated by the voting system. Consequentially, whilst we understand that three Council members may have wished to have made a different selection on their voting pad, or indeed to have made a selection at all, there is no conclusive evidence to show any failure of the voting system and the record of the votes should remain as recorded. World Sailing - Curiouser and Curiouser!